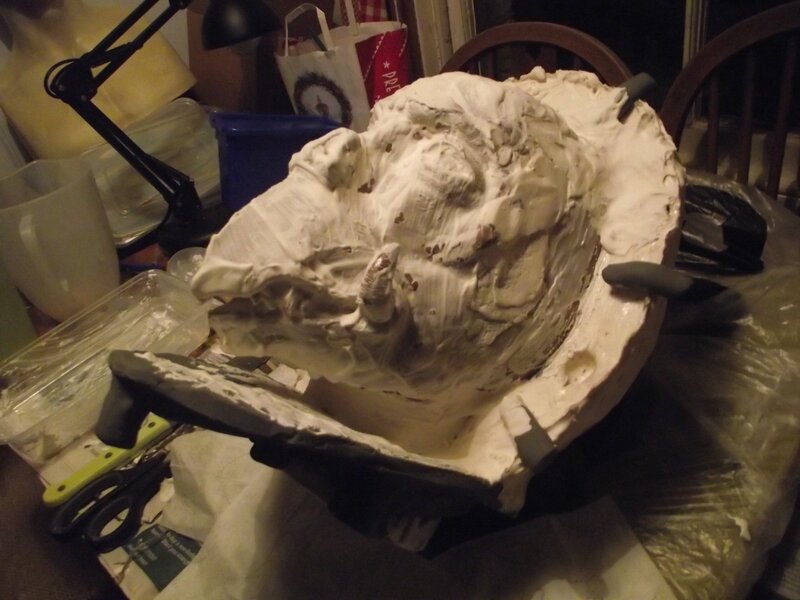 2) How to reduce the odds of cracks, do a better job at capturing detail and making sure that a mould won't break when filling in tricky areas like a mouth full of teeth. - how do I avoid having this happen again? (It's probably something pretty obvious, but since this is my first attempt I thought I'd better just ask). - can I use polyfilla to patch the cracks? 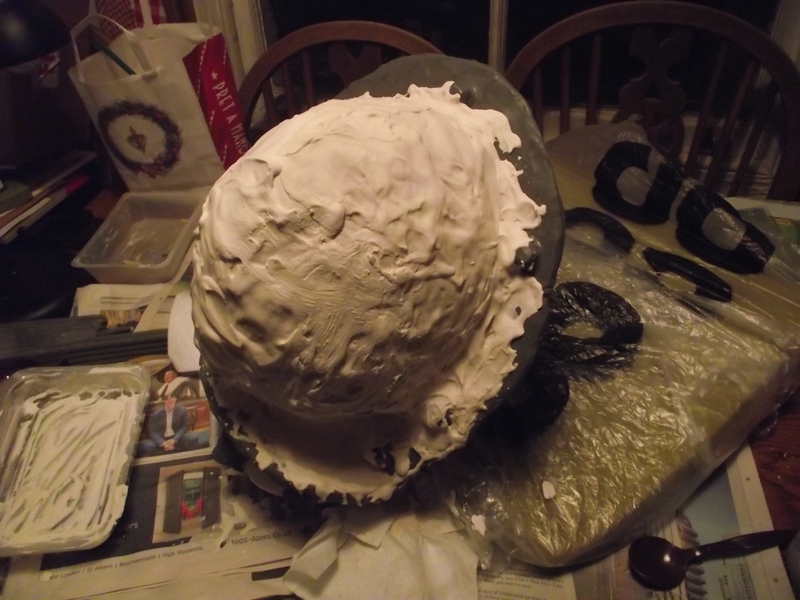 I'd like to use something that I can sculpt a little before it dries. 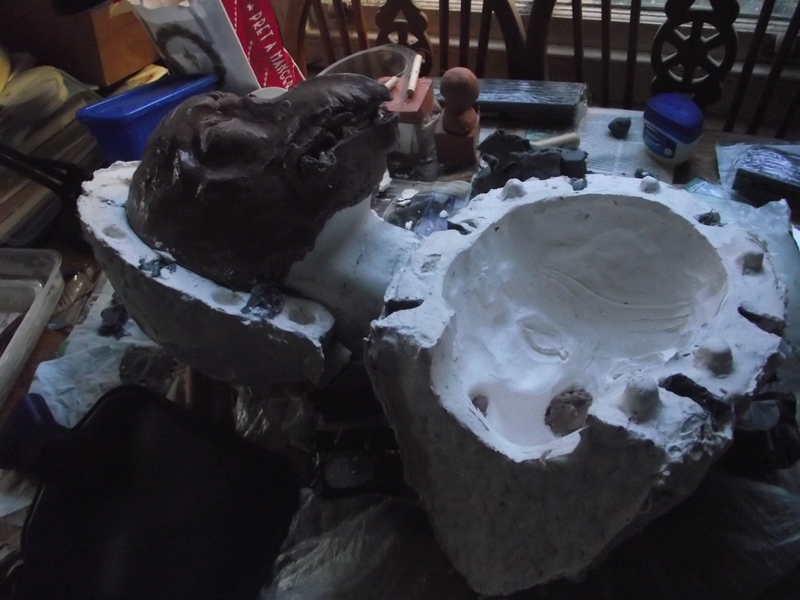 Often when you make your mold you have to consider that the process may destroy your sculpture. You basically have 2 options to avoid the above. 1 is the preferred method. 1) First paint your sculpture with a silicone layer to preserve the fine details and then put a plaster bandage layer over it. 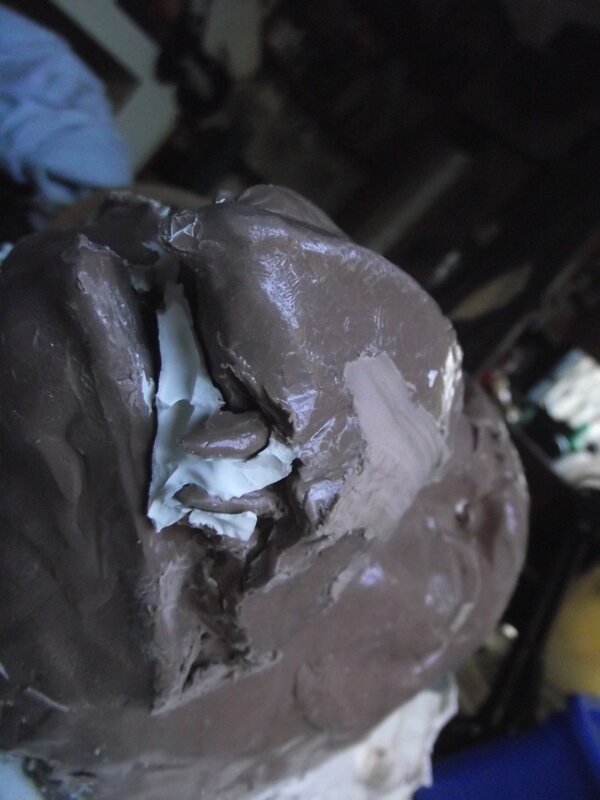 After you remove the plaster bandage you can carefully cut or peel the silicone off the sculpture. There are a few examples in the lessons. Downside is the cost of the silicone. 2. 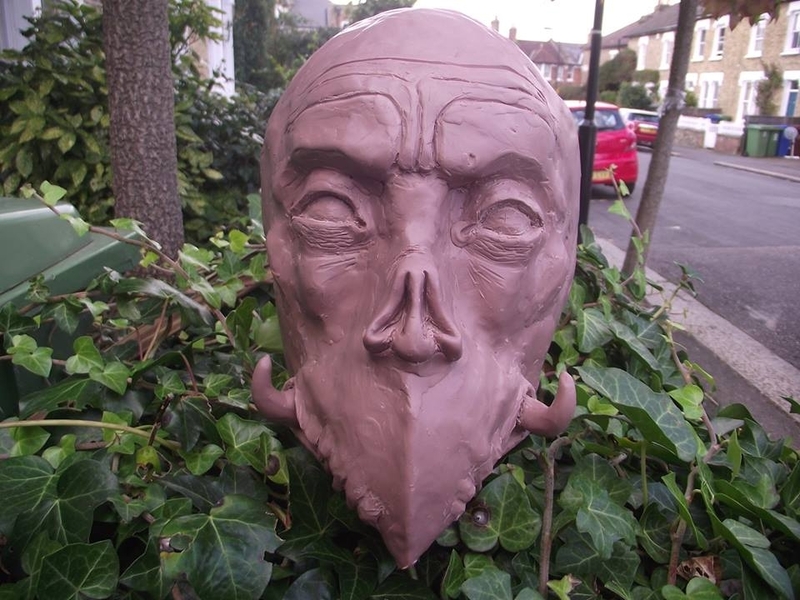 For Monsterclay or other oil based clay- after covering with with plaster - stand the mold somewhere and heat it gently until the clay becomes liquid and runs out. Just be careful as the liquid clay can be VERY hot!!!! Thanks. Would a detail layer of silicone work with latex? Doesn't the latex have to react with the concrete? So if I used silicone, it wouldn't work? As far as the second solution goes, I think you're right and I'm pretty sure it would have helped. I should have melted or softened the sculpture - the teeth in particular just ripped some of the more fragile plaster off when I removed it. What would be a good way to heat it? It's huge - head sized, basically. I don't have a big enough oven to fit it into and I don't think I can fit it on top of the hob either. 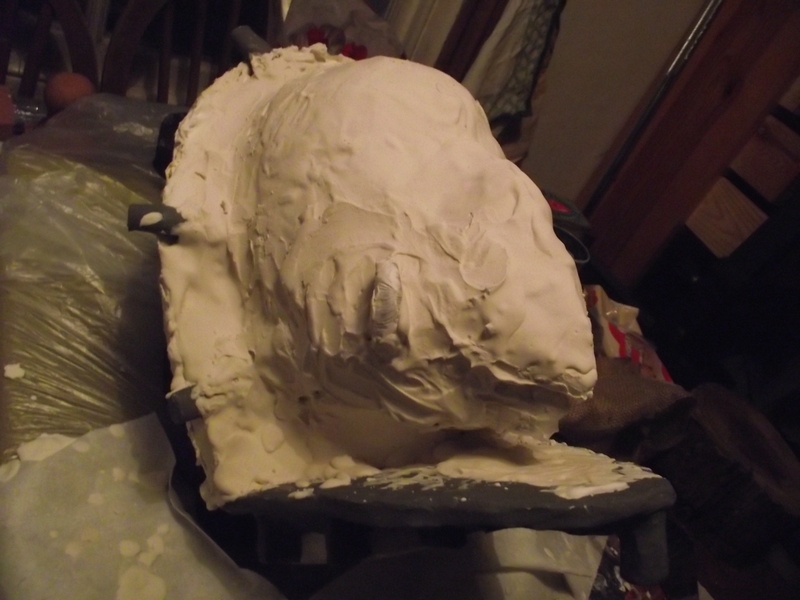 I could get a heat gun, I guess, but using a hair dryer on Monsterclay has never heated more than just the top layer. I think you are getting a little confused here. The silicone used is only to capture the details. in negative.. of your finished work. From there you can paint latex in to the silicone to create a positive latex skin. The reason for using a flexible skin against your master is firstly it can pick up the very fine details (hair, wrinkles) and secondly you can carefully pull it around area's like ears and horns.